Because you already know the “secret” menu at In-N-Out backward and forward, we thought it was time you expanded your horizons and enjoyed some of the city’s other off-menu delights. To find you the best secret dishes around LA, we talked to chefs, whispered to regulars, and generally just snooped around, so you can order like a true insider and not miss out on some of the best eats this town has to offer. If you’ve been lucky enough to feast on the loaded fries at Califas Taco, chef Esdras Ochoa’s Smorgasburg outfit, then you’ll have an idea of the excellence that awaits you here. 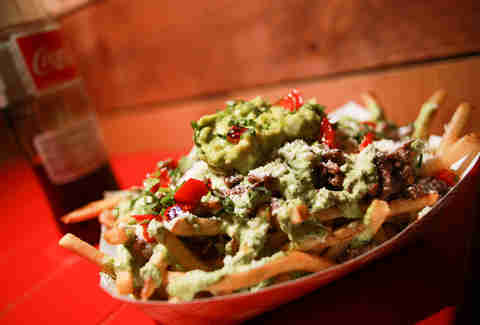 Only available for limited runs (keep an eye on Instagram), the fresh-cut fries are stacked high with roasted peppers, cotija cheese, spicy crema, guac, cilantro, and your choice of flame-grilled pork, chicken, or beef. Those in the know can also order the secret chilaquiles with house-made chips topped with a choice of grilled meat (asada, pollo, chorizo, al pastor), special sauce, cilantro, pickled onions, cotija cheese, and a sunny egg. Then there’s the off-menu breakfast burrito, with a choice of grilled meat with eggs, guac, and pico de gallo. 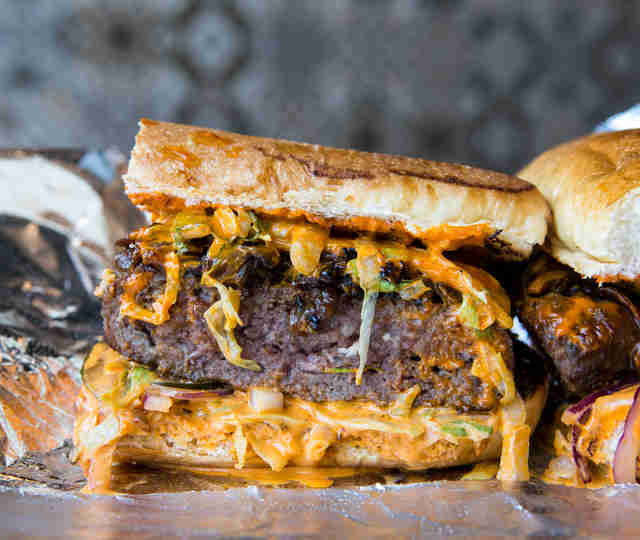 While you may have tried the incredibly tender and smoky brisket at this BBQ joint, the secret menu burger allows you to appreciate it on a whole new level. Featuring a 100% beef brisket patty, American cheese, iceberg lettuce, “comeback” sauce, and pickled onions on a toasted challah bun, the burger isn’t always available, and when it is, it’s only at dinner -- so be sure to ask. You can crank things up further by adding a quarter pound of sliced brisket to the burger, or top it with the off-menu thick-cut, house-made bacon, that’s been cured, smoked, and drizzled with pure maple syrup -- heck, you can even order the bacon as an appetizer on its own (which you definitely should). We thought we’d seen all manner of fully loaded variations of poutine -- the Québécois import of cheese-curd-gravy fries -- but the bivalve-obsessed folks at L&E have thrown us a delicious curveball. Those in the know ask for the chowder poutine, which features a mound of fries smothered with clam chowder and covered with Cheddar cheese, Nueske’s bacon, and SBEZ hot sauce. This newly opened sweet spot from the talented team behind Crème Caramel LA and Found Coffee serves up a delectable lineup of traditional and Filipino-inspired treats (think coconut pandan custard) and top-notch brews (try the bourbon vanilla latte). 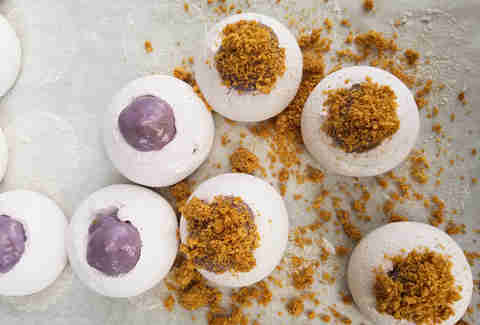 But you’ll definitely want to add to your order the off-menu pavlovas, which feature a meringue base topped with any of the available custards including bright purple ube (yam) or seasonal picks like honey espresso, and a generous sprinkle of bruleed graham cracker crumble. Two of the granddaddies of beloved secret menu options, these two iconic dishes once graced the regular menu, but are now available by request. The trio of two-bite-sized sesame miso cones come filled with spicy tuna tartare and are topped with bonito flakes, masago roe, pickled ginger, and daikon sprouts. 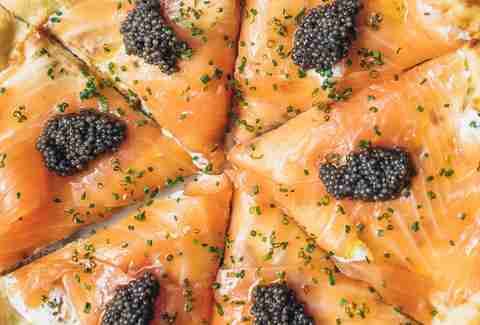 Meanwhile, the smoked salmon pizza -- which was on the menu when the restaurant opened in 1982 -- is topped with garlic chili oil, dill creme fraiche, red onions, house-cured smoked salmon, and caviar. 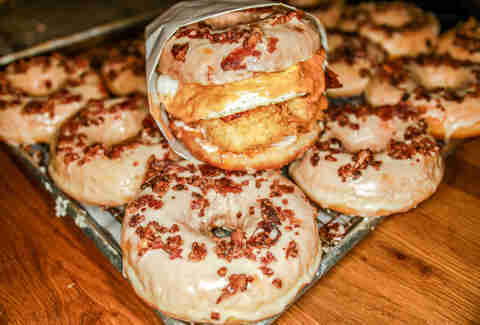 Sometimes deciding between donuts and a breakfast sandwich is too much work after a long night. Thankfully this fried chicken and donut specialist takes the difficulty out of such a burdensome choice by combining the two remedies in the ultimate hangover preventer. Because this iconic deli is not only where you might start your day after a long night, but also likely where you’ll end up in the middle of a long night, thanks to the next-door Kibitz Room, it’s good to know the classic spot still has some tricks up its sleeve. The fried kreplach is one that the older patrons may remember and younger patrons should get to know -- small pockets of dough are stuffed with brisket, and while they’re usually boiled and served in soup, you’re going to ask for them fried. And you’re gonna like it. Because there may come a day when you want to order something other than the Hickoryburger (or the Steakburger, if that’s how you roll), this LA institution can hook you up with a tuna melt, or even a patty melt if you ask nicely. You can also ask for some of that delicious Tillamook Cheddar to be melted over your fries, have your ham cooked on the grill for the ham sandwich, have your burger lettuce-wrapped instead of on a bun, and cool off with a root beer float. While this solidly reliable gastropub serves up excellent burgers, fried chicken, and pastrami, they also have several great options for vegetarians. Besides the on-menu Double Up veggie burger, those looking to skip the meat can also opt for the mushroom bun, which includes a roasted portobello mushroom, topped with melted Swiss, roasted garlic steak sauce, and crispy kale. Or if you’re looking to kick it after-school style, ask for the grilled cheese, which features two kinds of cheese, pickles, and is served on a panko-crusted crunch bun. Head for the hills to one of the best views in town where a recently reopened Yamashiro features several secret menu options worth braving Hollywood traffic. Ask for the Spot shrimp Japanese ceviche, which features hand-cut Ora salmon, yellowtail, bigeye tuna, and Spot shrimp, topped with black tobiko and chili pepper. 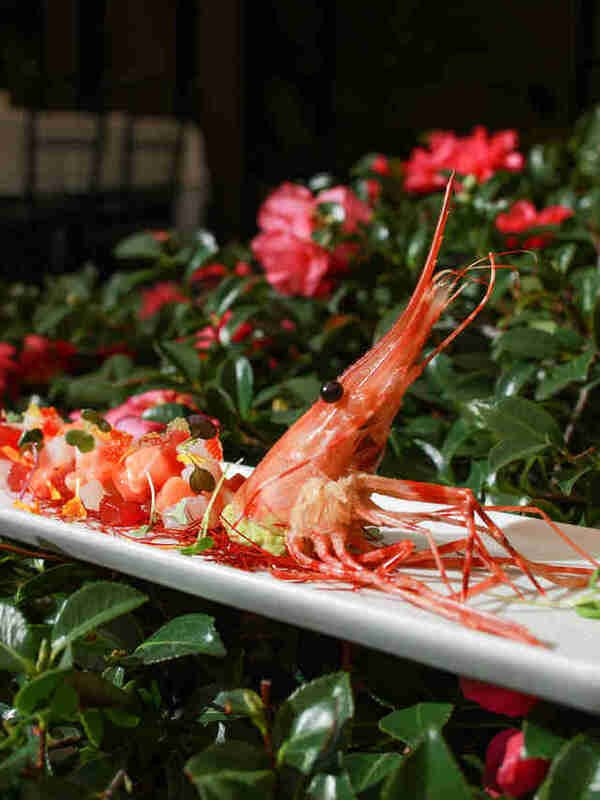 Or you could opt for the shrimp kataifi -- jumbo prawns wrapped in shredded phyllo dough, served with a reduction of basil and cream of coconut and a yuzu ponzu sauce. Another solid off-menu option is the wagyu beef tataki with seared wagyu, momiji oroshi (grated daikon and chili peppers), scallions, and tosazu sauce. 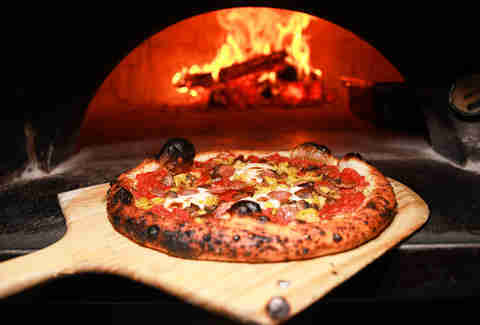 This neighborhood hotspot turns out some exceptional wood-fired pizzas, but if you’re looking for something beyond what’s listed on the menu, chef Sydney Hunter III has you covered. Ask for the off-menu Polpette pizza, which is loaded with porky goodness including meatballs, ‘nduja (aka spreadable pork salumi), and thin leoncini pancetta. The pizza was on the menu when the restaurant first opened, but now it’s only available to those who know to ask -- and now that includes you. Decorated chef José Andrés won’t settle for just any old ordinary taco to be his namesake taco. 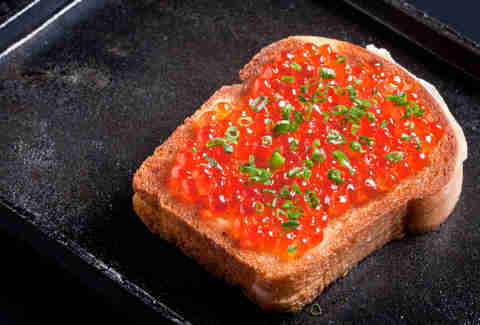 Instead, his favorite rendition, available only by request, includes jamón ibérico de bellota and Siberian sturgeon caviar garnished with chervil and extra-virgin olive oil. 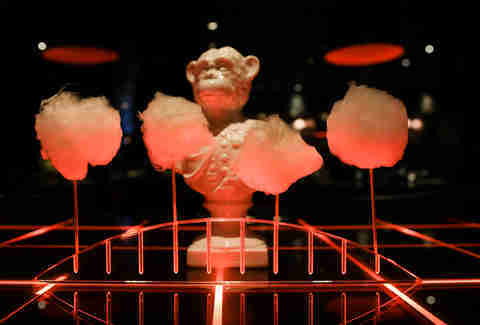 As a bonus, vegetarians -- or cotton candy enthusiasts -- can also order the secret avocado cotton candy, the veggie version of the restaurant's iconic foie gras cotton candy. In this case you’ll find a cube of avocado, dusted in ground corn nuts, and then wrapped in cotton candy. Imagine, if you will, the Hot Pockets of your childhood grew up, got a really well-paying job and moved to Beverly Hills -- then you’ll start to have an idea of what’s in store for you with this off-menu delight. A giant calzone-like shell that’s been perfectly crisped in the wood-fired oven is filled with fresh buffalo mozzarella, truffle paste, and a healthy dose of black truffle shavings, all of which comes oozing out in the most beautiful way when you cut into it. Should you find yourself doing the Truffle Shuffle, we won’t blame you. The next time you’re heading to a show at LA Live or a game at the Staples Center and are looking to drop even more cash, swing by Katsuya and ask for the off-menu 24K tartare. 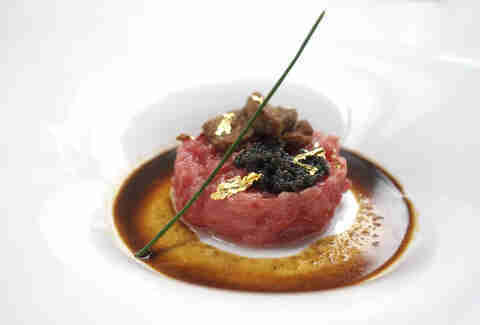 You’ll be treated to the coveted toro (tuna belly) tartare with truffle nikiri soy that’s paired with Hudson Valley foie gras topped with caviar and 24K gold leaf. Your chariot awaits, your highness. If you’re balling on a more reasonable budget, head to the Hollywood location for the off-menu miso corn elote, made with kewpie mayo, ichiimi chile, cilantro blossom, and masa hane. Katsuya also has a few other decadent off-menu options at their its locations, including wagyu beef tartare (Brentwood), lobster ramen (Glendale), and A4 wagyu fried rice (Hollywood). 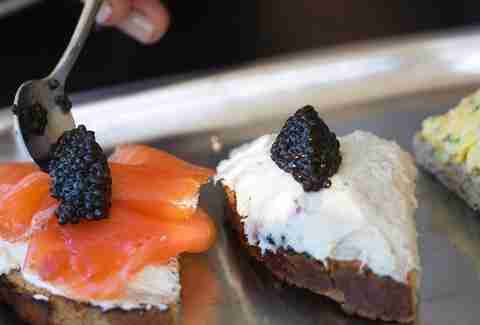 While some of us may be satisfied with a quality Reuben or a straightforward bagel with cream cheese at Wexler’s, the true deli baller knows that he or she can ask for the Russian Hack (at the Santa Monica location only) -- a decadent sandwich of house-smoked lox, cream cheese, capers, and onions, that’s topped with 30 grams of Wexler’s Deli private label Oscietra caviar for a “mere” $100. 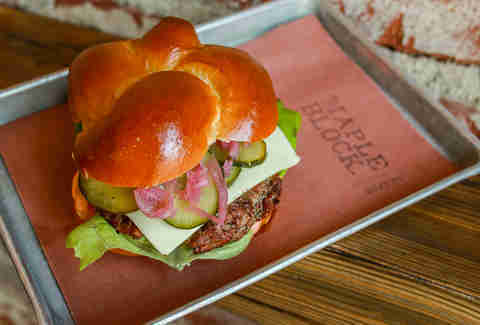 If you didn’t believe us before when we told you to head to the LP Rooftop for the fried chicken sandwich, hear us now. You’ll find the regular sandwich on the menu, but you’ll want to pump up the volume and ask for the off-menu spicy rendition, which features a house-made habanero sauce, romaine, house mayo, served on a buttery bun. Two of your favorite food groups together at last: French fries covered in marinara, mozzarella, and pepperoni. And all you had to do was ask. 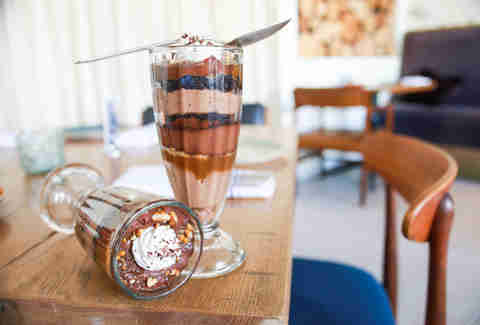 Once you’ve stuffed yourself silly from the passing dim sum carts, you’ll want to stuff yourself sillier with this killer off-menu dessert, which features chocolate cake, salted caramel sauce, chocolate mousse, and peanut brittle. 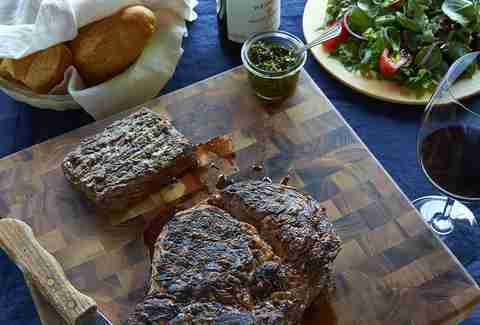 While steak aficionados may know they can order a 12-ounce portion of the rib-eye cap at this meat-lover’s paradise, if they get the crew together, they can feast on the entire cut, which usually rings in around 48-62 ounces. Hand-carved table side, this prized cut must be reserved in advance as they only serve two portions a night. Years ago, GM Gerard Bozoghlian developed a special carving technique that allows the chef to cook the rib-eye cap marbling first, which creates a cut that’s tender as filet mignon but with the full flavor of a rib-eye. You’re going to want an extra order of the house chimichurri for this. Soak up some stunning harbor views while feasting on this off-menu special, which features prime aged rib-eye, Hook’s 10-year Cheddar, buttered onion on a toasted baguette -- which feeds two to three people. Suddenly realize you have nothing much to complain about at the moment. You didn’t come to this steakhouse to cut calories, so let’s just cut to the chase and order up the signature mac & cheese. And while you’re at it, double down by enhancing that mac & cheese with freshly shaved truffles, lobster, or crab -- all little known secret options that are well worth the indulgence. You’re here for the top-notch Northern Italian specialties, so why not get the fully authentic experience by ordering a super old-school dish -- we’re talking ancient Roman Empire eats here. 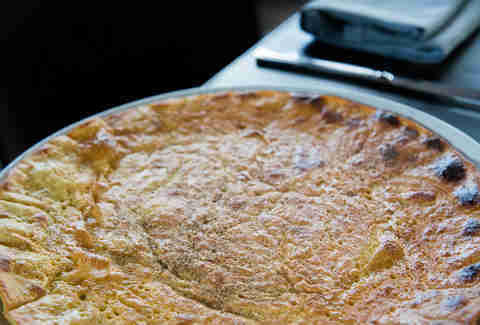 Farinata, a popular street food in Northern Italy (especially Liguria), is a deceptively straightforward yet delicious, thin pancake made from chickpea flour, olive oil, water, and salt that’s fired in the wood-burning oven. One legend says the dish was created when Ancient Roman soldiers would cook a chickpea batter in the hot sun on their shields, while another says Genoese sailors accidentally left the batter in a bowl to bake in the sun. All we know is that we’re glad somebody else is cooking it for us. The fries at Belcampo are already tremendous, so when you ask for the off-menu poutine made with them, things are about to get bigly. 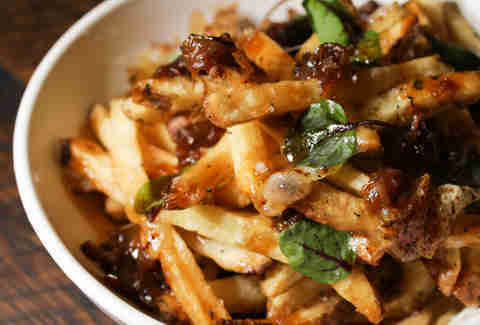 Kennebec fries are piled high with cheese curds, caramelized onions, and doused in a red wine demi. Winning. It should come as no surprise that the imaginative family trio behind this bustling modern Indian hotspot would have a few tricks up their sleeves. 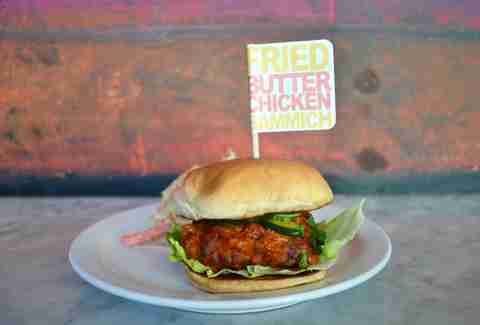 Bringing their own spin to a classic dish, the boys offer a butter chicken sandwich featuring fried chicken that’s been dipped in an irresistible, smoky butter chicken sauce and topped with cucumbers on a bun. You don’t want to miss this one. 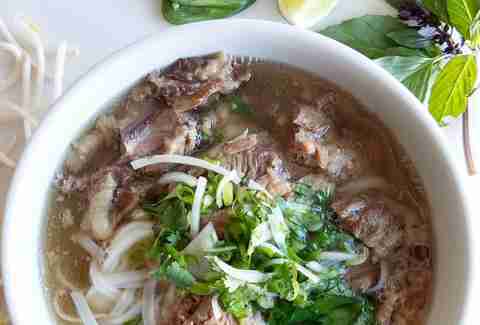 This Vietnamese favorite serves up a coveted “chef’s special” pho, featuring a super hearty broth made with beef ribs and tendons that have been simmering with aromatics since 3am. Nong Lá only serves about 10-15 portions each day, though, so you’ll want to get there early. This highly sought-after (and new) Neapolitan pizza spot serves up a few secret pies for those willing to wait in the long line to get in. 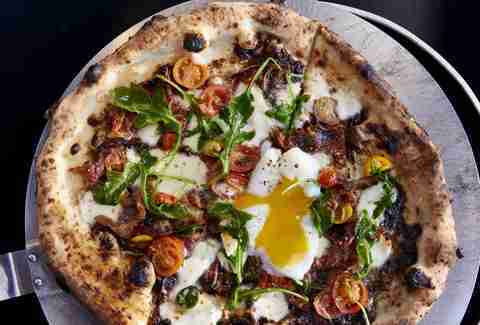 Master pizzaiolo Daniele Uditi is always toying with some magical new creations, and those who know to ask can be treated to these R&D experiments before anyone else even knows about them -- like the hugely popular cacio e pepe pizza that started off-menu. You’ll usually find one or two secret pies each night, such as the recent carbonara pizza. If you can tear yourself away from the excellent on-menu options at chef Ludo Lefebvre's ode to a Parisian bistro (even just for a moment), ask about the insiders-only jambon-beurre sandwich. The classic features proper Parisian jambon -- cured in salt and boiled -- paired with demi-sel beurre baratte (that’s French for “hella good butter”) with a hint of buckwheat honey, shaved radishes, and cornichons, all served on Colleen DeLee’s famous house baguette. 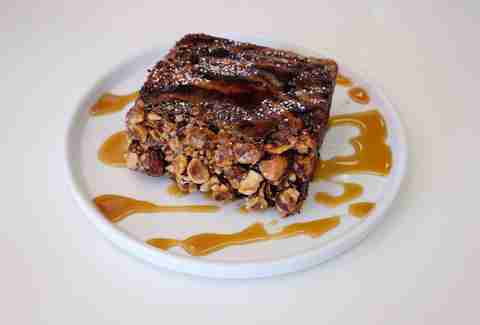 One of our favorite bakeries in LA serves up some pretty incredible sweets on the menu, but you’ll definitely want to inquire about its indulgent off-menu specialty. It all begins with a chocolate hazelnut babka made with brioche dough and house chocolate hazelnut filling (basically a next-level Nutella), and topped with hazelnut brittle. The babka is then “French toast-ified” and dusted with powdered sugar. Maple syrup is “optional” -- but come on, you’re not going to hold back now, are you? The French toast is available by the slice ($6.50 each), only on Thursdays, Fridays, and Saturdays between the hours of 10am-5pm. This stylish new bar and eatery (in the former location of The Must) is not one to be left out of the off-menu game. The next time you get a hankering for a tasty burger, whisper to your server ( not in a creepy way) that you’d like the secret breakfast burger -- which, despite its name is available ALL THE TIME. You’ll be treated to a wagyu beef patty topped with hash browns, bacon, fried egg, tomato, avocado, and Sriracha mayo, all on a brioche bun. Tucked inside the Four Seasons Hotel, you’ll find a new off-menu menu (you read that right) that features a hyper-seasonal prix fixe lunch offering. You’ll find limited-time specialties like a spinach salad with ricotta-filled burrata(! ), mousse-stuffed chicken breast, and a pastry of the day. The special menu is the work of newly appointed chef de cuisine Luca Moriconi, who hails from Lucca, Italy (yes, Luca from Lucca), to celebrate Italy’s diverse culinary regions with the help of California’s exceptional seasonal produce. 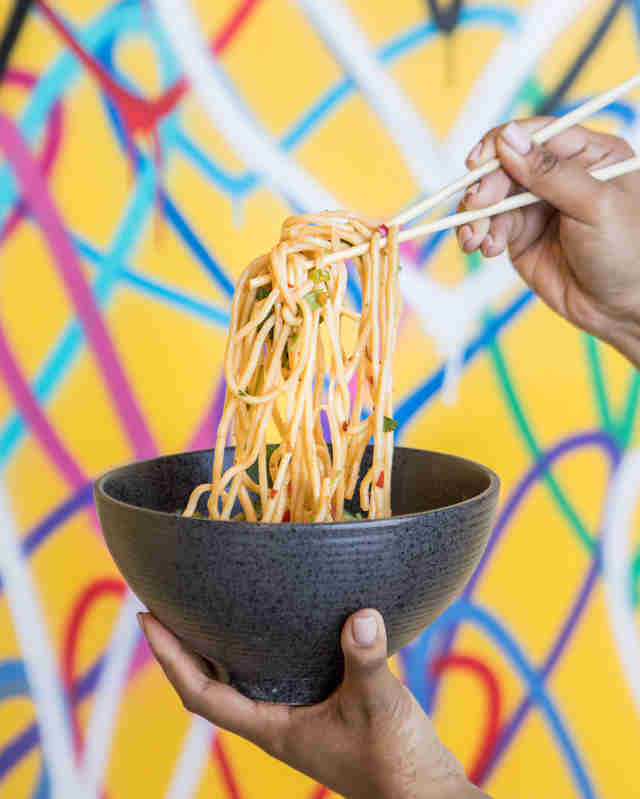 This laid-back Chinese-American eatery has plenty of hot dishes (as in spicy, temperature, and hawwwwt), but it’s the cold Sichuan noodles you’ll want to ask about. The off-menu favorite features thin, round egg noodles, Persian cucumber, sesame seeds, and a special house-made Sichuan peppercorn and chili sauce. OK, fine, it’s still a bit spicy-hot, but you won’t regret it. This stylish new addition to the Financial District with a killer patio has a secret you’ll want to investigate. The off-menu Loaded & Folded flatbread is prepared using an ancient and secret preparation that involves much loading of arugula, Spanish chorizo, prosciutto, salami, yellow and white Cheddar, cotija, pickled red onion, and chimichurri, all tucked inside of a flatbread that’s then folded and cooked. 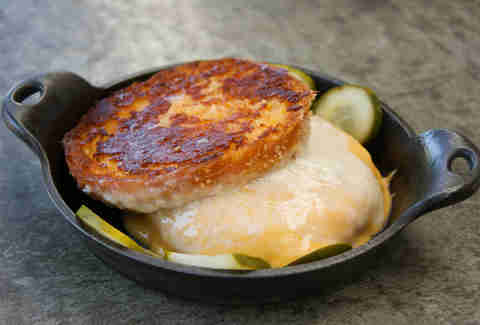 It’s the meats from the charcuterie platter essentially turned into a huge grilled cheese -- which is never a bad thing. Always one to put on an elaborate show at dinner, it’s no surprise that Barton G. has a few tricks up its sleeve to impress guests in the know (and those willing to drop some cash). 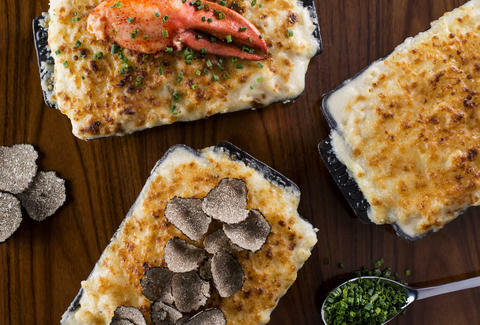 The Lobster Trap mac & cheese features a hulking 5-POUND Maine Lobster stuffed with truffle mac & cheese that’s made with a three-cheese lobster sauce, and then baked in the oven and topped with shaved black truffles. 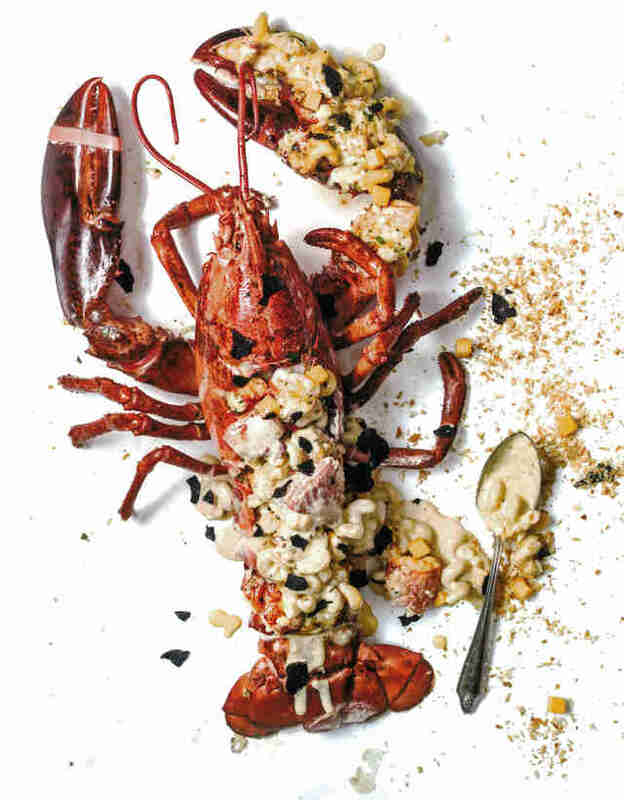 The decadent dish clocks in at $195, and you have to pre-order it at least two days in advance so the kitchen can source that massive lobster from Maine. But, boy, will your date be impressed. We hope. This already popular new pizzeria -- housed in the former Pizza Buona space -- features plenty of excellent renditions of straightforward Italian-American classics from chef Zack Pollack of Alimento. 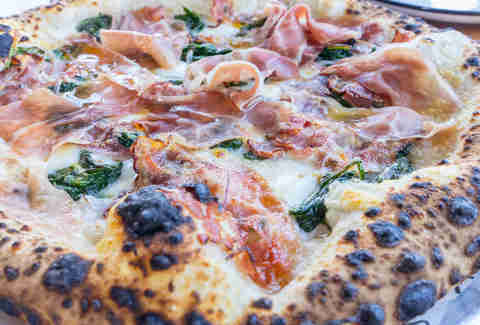 Look beyond the menu and ask about Ceez pizza, named for the restaurant’s GM Cesar Lopapa and inspired by an Argentine pizza known as la fugazzeta rellena, which features mozzarella, basil, Parm, Canadian bacon, spinach, red onion, and prosciutto -- with optional Calabrian chili (Pro-tip: it’s not optional). You also don’t want to miss the garlic knot pizzetta, which is a small, stuffed-crust, cheesy garlic knot pizza. Eric Greenspan's kosher deli/whiskey bar is full of unexpected delights -- starting with the fact that it’s a certified kosher deli and whiskey bar -- but there’s one treat you don’t want to miss. Available Saturdays only after Shabbat is over (an hour after sundown), the off-menu Havdalah burger features a ground beef patty topped with crispy pastrami, harissa mayo, red wine-spiced onions, and crunchy iceberg lettuce on a challah bun. Only 20 are made each Saturday, so get there early. We can’t say for certain if there’s a connection with keeping kosher and secret menus, but this hidden gem of an eatery is making a strong case for the correlation. 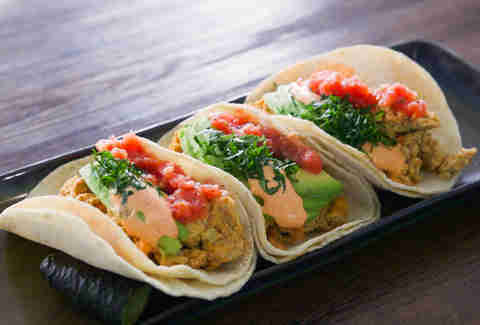 On the menu, you’ll find an eclectic array of globally minded dishes that likely defy what you might think of as kosher food -- from biscuits and gravy to Spanish churros. Chef and owner Aaron Clayton is always experimenting with new seasonal dishes for in-the-know customers to try -- his most recent creations are a cross-cultural mashup of shakshuka breakfast tacos with avocado, tomato relish, and cilantro, topped with a hot sauce hollandaise. Danny Jensen is a regular Thrillist contributor who is always willing to go off-menu in search of secrets. Whisper at him on Twitter and Instagram.